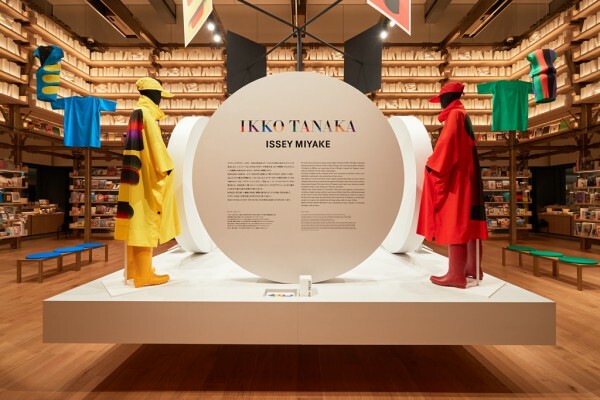 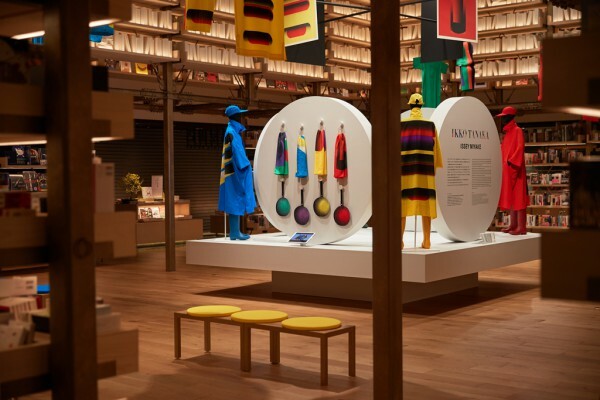 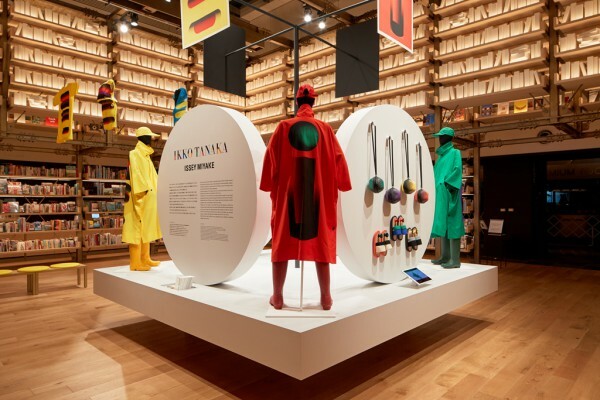 We dressed the exhibition site for the IKKO TANAKA ISSEY MIYAKE No.3 exhibition which opened in GINZA TSUTAYA BOOKS' Event Space. 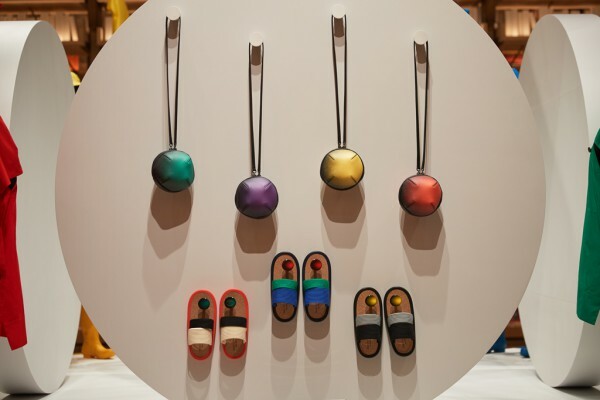 The "WORK" collection is the third installment of a series featuring the works of graphic designer Ikko TANAKA. 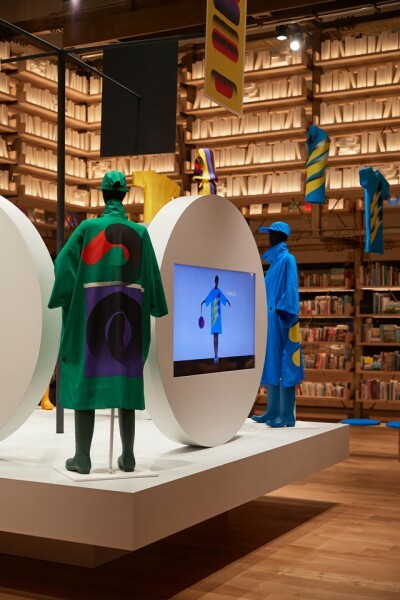 We aimed to create an exhibition projecting a "dynamic" image through the dynamism of the world of Tanaka's work expressed by the clothes. 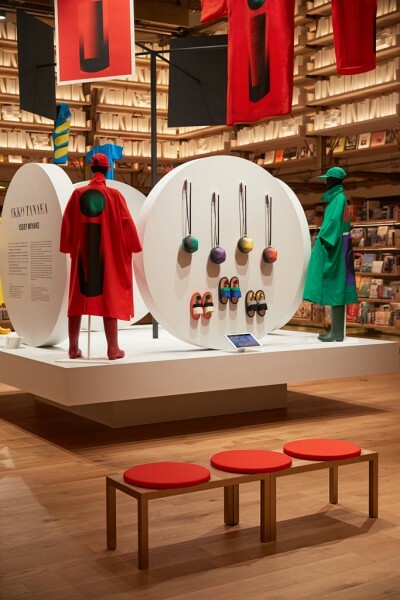 Four circular panels 1800Φ in diameter are installed on a 700mm tall base in the center of the hall, above which four posters are exposed on a rotating structure reminiscent of a weathervane. 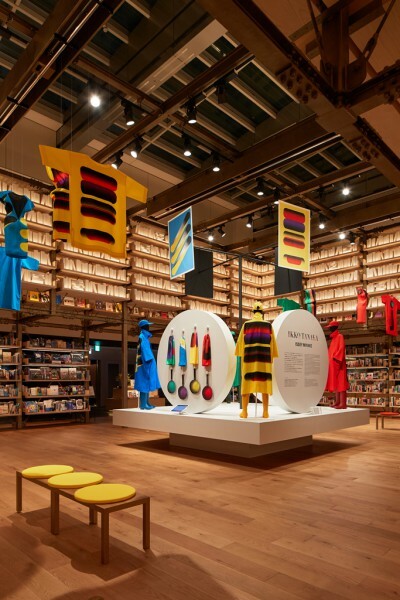 This setup allows the public to enjoy the interplay between the graphics and the items on the walls. 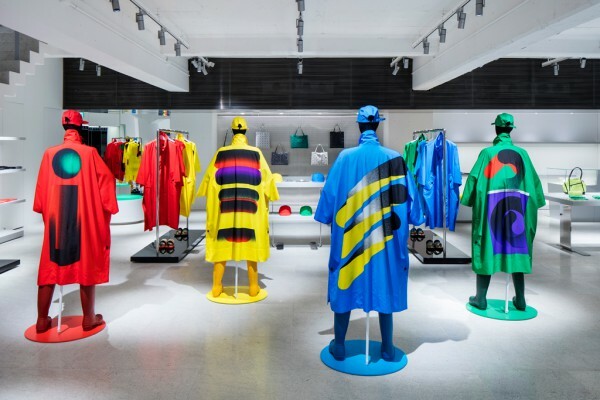 T-shirts mounted on acrylic boards passing through the sleeves and dresses worn by transparent torsos suspended by wires from rods hanging from the ceiling allow the printed graphics to impress movement on the whole space. 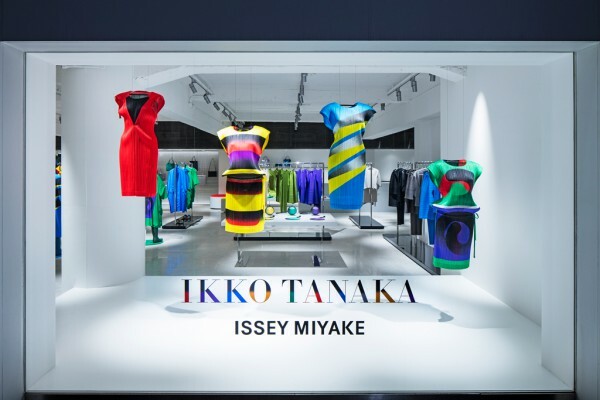 By the same occasion, we also created a window display for the ISSEY MIYAKE GINZA / OMOTE street-level store echoing the exhibition presented at TSUTAYA. 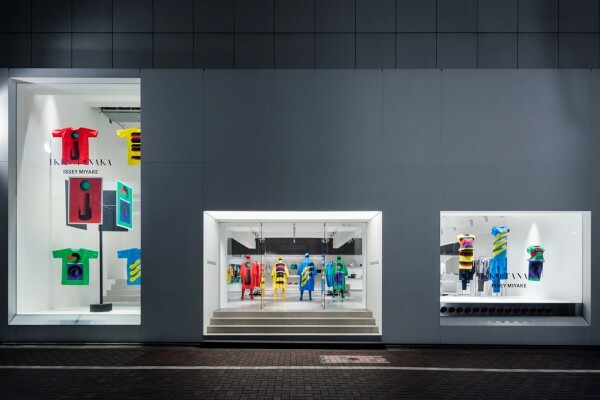 The display instantly attracts the attention of people passing by as the rotating posters and the colorful clothes beckon them inside.